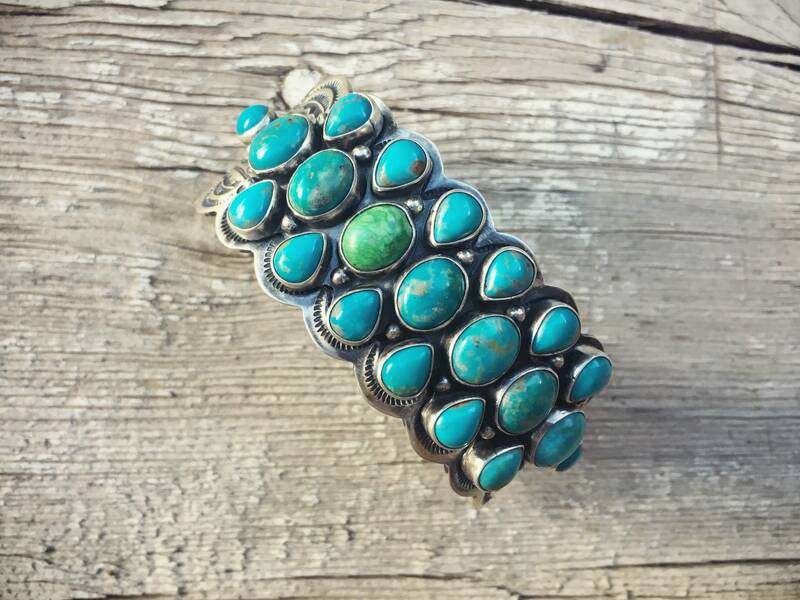 This heavy cuff bracelet is absolutely stunning. 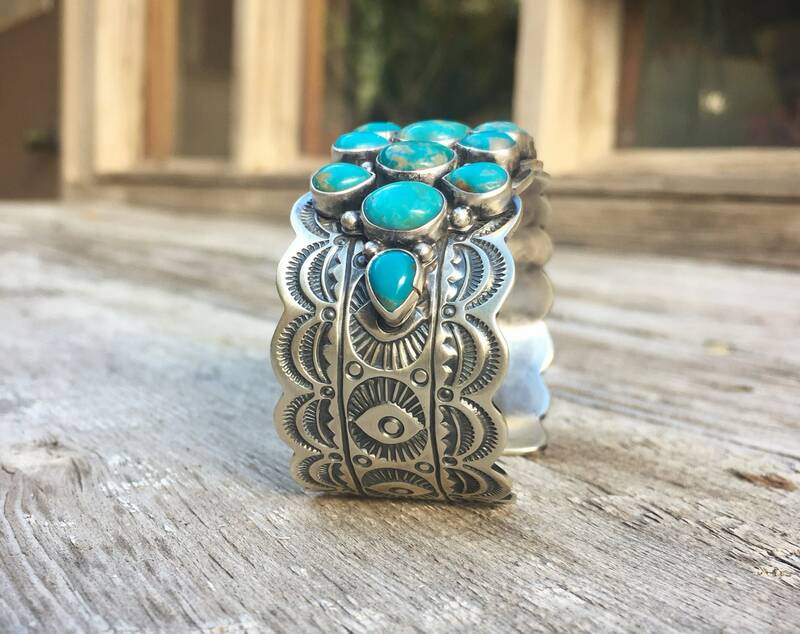 The sterling is stamped with symbols that are reminiscent of an eye with lashes, reminding me of jewelry that is intended to deflect the evil eye. 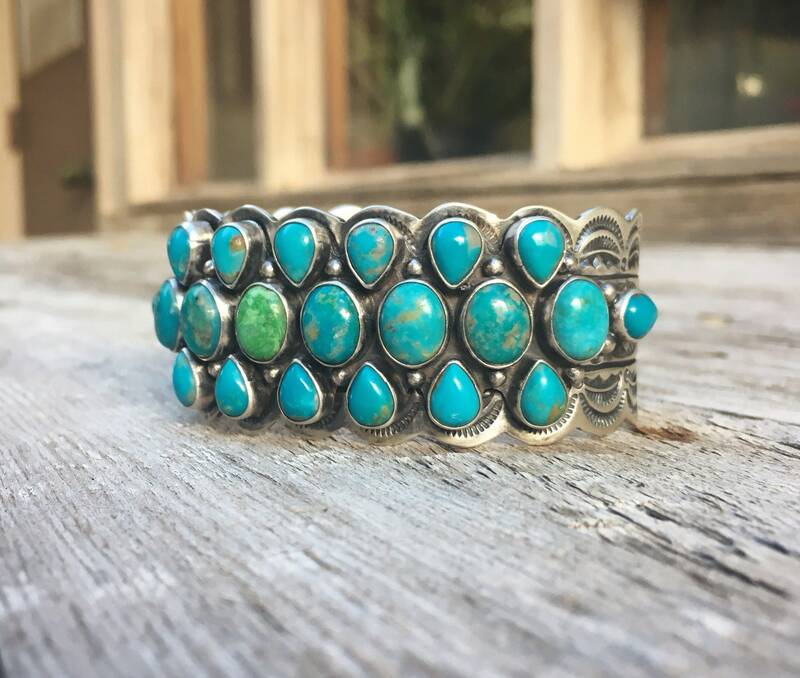 But the most amazing part of the piece is the color of turquoise--that quintessential bright blue green that we've come to associate with the word "turquoise," and then in one of the bezels, a single green turquoise stone. 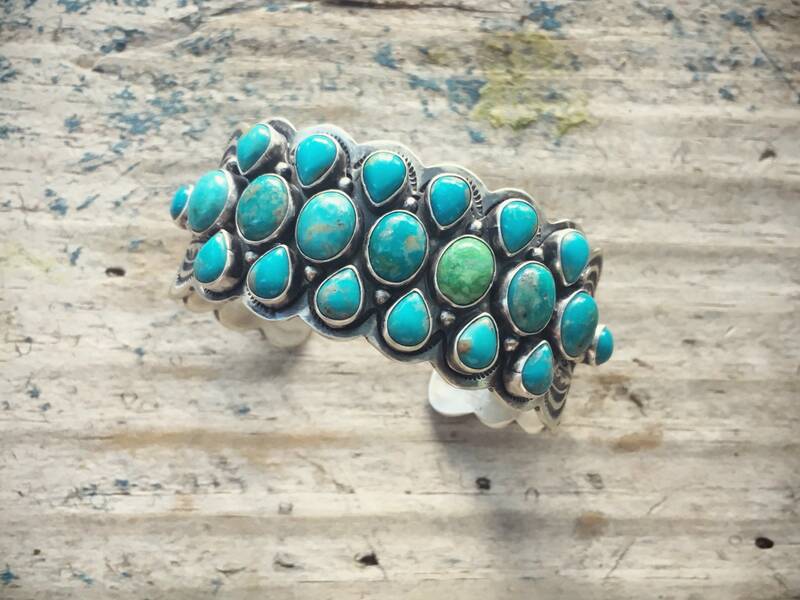 The turquoise is natural and I can't stress enough the impact of all 21 cabs in a single cuff. 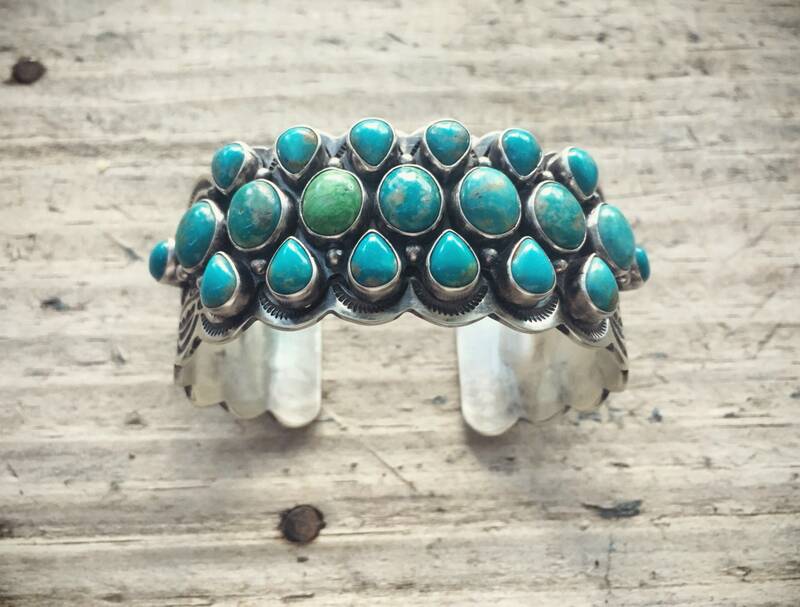 The piece is signed D. Clark, for Navajo silversmith Danny Clark. From a website about the artist: "Danny Clark has been silversmithing for over forty years. He was born in Klagetoh, AZ, and is the youngest of eight brothers & three sisters. 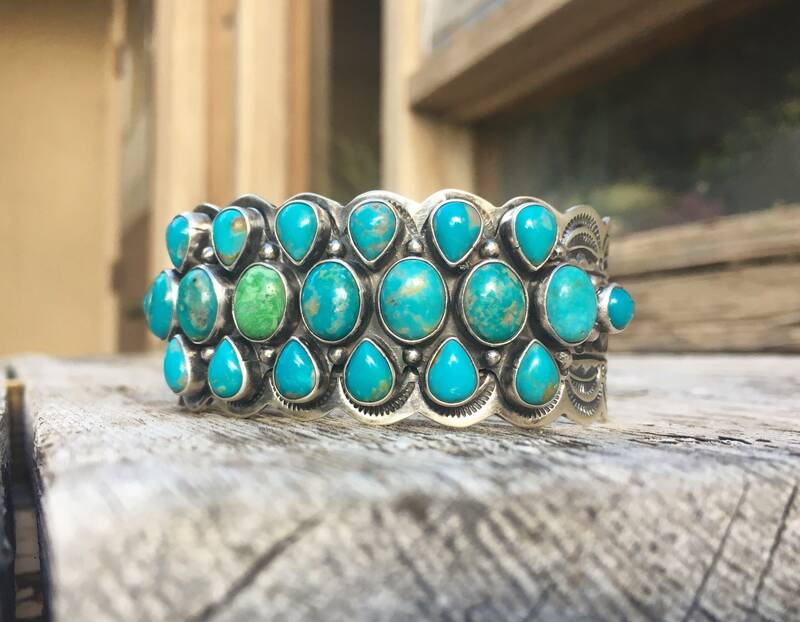 Living in Gallup, New Mexico, Danny creates unique styles that have become recognized and highly sought after in the Southwest." Those years of experience show in this stunning piece. The sterling silver is brushed finish. 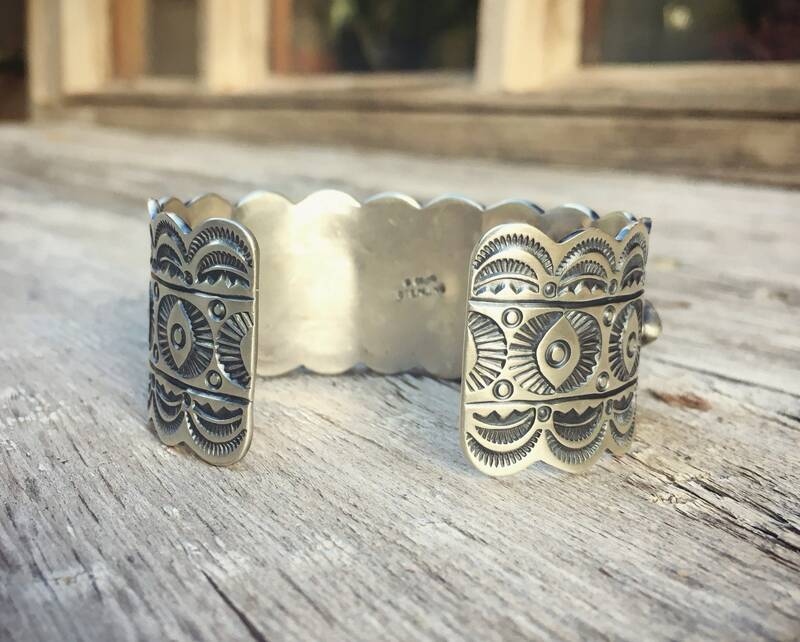 The bracelet measures 1-1/8" wide and 5-5/8" around using a tape measure on the inside, with a 7/8" gap--so 6-1/2" total. It is slightly large on my 6" wrist, and I believe it will best fit a wrist right about at 6-1/2" around. 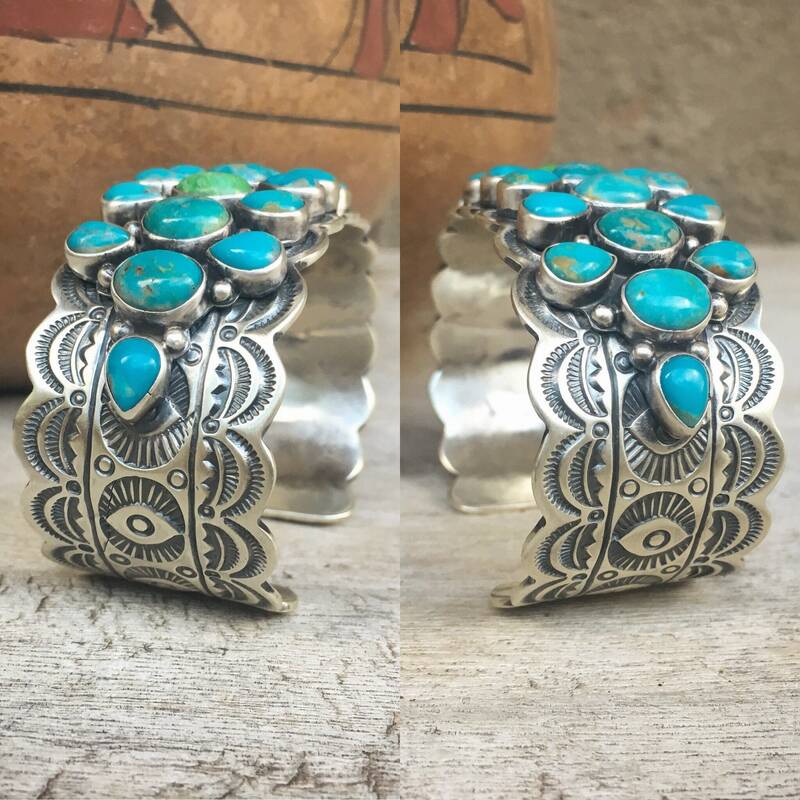 The size likely makes it a women's bracelet, although it would look great on a man as well. However, unless the wrist size fits, it is not anything that can be squeezed or opened bigger. 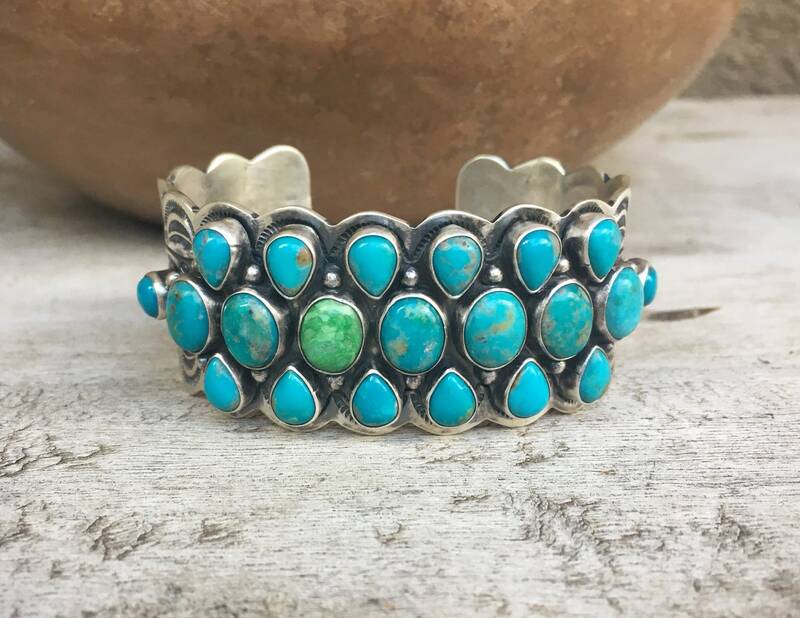 First, the silver is heavy and not malleable, and second, even if it were, all of those bezels and the turquoise cabs would be compromised if even attempted. In good condition. 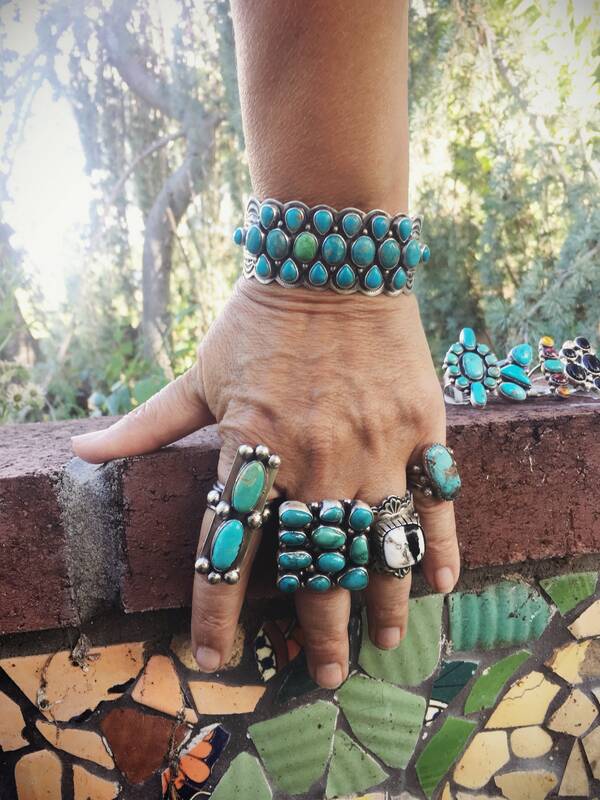 Stunning turquoise, quality craftsmanship, beautiful design!